The hour long immersive A/V performance was commissioned by BRIC and premiered March 6, 2014 in Brooklyn, NY. 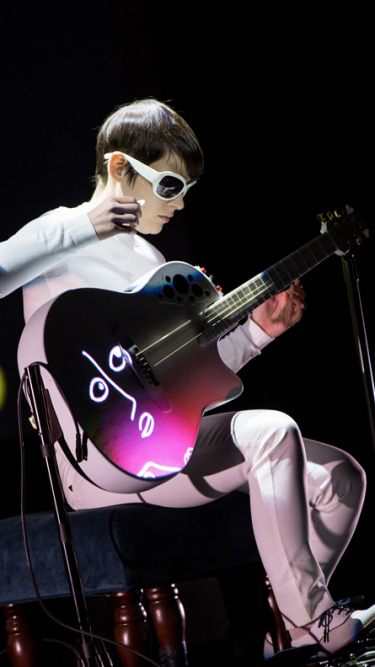 Glowing Pictures turned the all white plastic resin guitar into a projector screen and mapped custom animations making the guitar look out of this world. 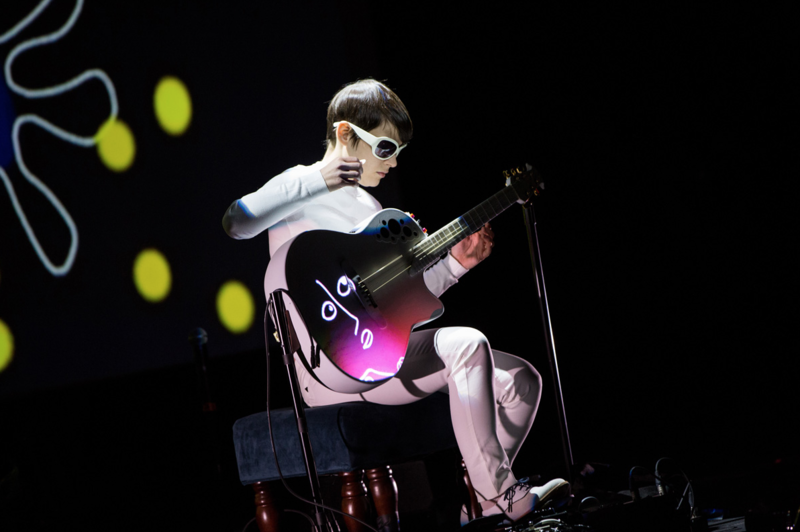 Glowing Pictures also created custom animations to seamlessly blend the large scale display behind Kaki King to create a total immersive experience. Kaki King launched a Kickstarter Campaign that shattered its $25,000 goal by raising a total of $43,091.